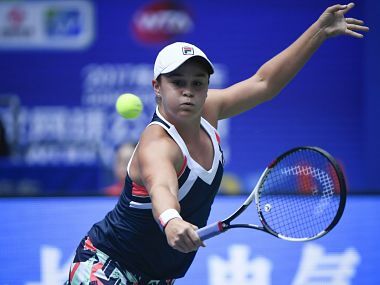 Wuhan: Australia's Ashleigh Barty crushed French Open winner Jelena Ostapenko of Latvia 6-3, 6-0 on Friday, cruising into the final at the Wuhan Open. Barty, who began the year ranked outside the top 300, will face Caroline Garcia in her first ever Premier 5 tournament final after the French player toppled Greece's Maria Sakkari 6-3, 6-2 in a one-way semi-final. Ostapenko, ranked 10 in the world, struggled with a niggle to her right wrist and appeared tired after triumphing over World No 1 Garbine Muguruza in the quarters. "I had no energy," Ostapenko, 20, told journalists. "I've been playing so many matches... and yesterday we finished quite late so I didn't really have enough time to recover." Barty, ranked 37th in the world, snatched an early break in the first set to lead her normally fiery opponent 2-0. Ostapenko broke back but the Australian moved ahead again in the sixth game and held on to close the first set in just under an hour. After breaking early in the second, Barty stormed ahead to the finishing line in less than 30 minutes. Barty had already seen off former world number one Karolina Pliskova, Agnieszka Radwanska, seeded nine, and Johanna Konta, the fifth seed in a dream run in the Chinese city. "It's been an unbelievable week. I've played some really good tennis at a really consistent level throughout the match and haven't had any real drops," 21-year-old Barty said. "I feel like I'm moving well on the court. I feel like I have full control of the ball, which in some conditions it's really tough to do." In the other semi-final, Garcia dominated qualifier Sakkari to reach her first final of the year and the first Premier 5 level final of her career. "It feels good, it was a long time without a final," Garcia said in an interview on court after the match. "It was such a fight today, and she had a great week coming from qualifiers, and I’m very happy with the way I played." Garcia, ranked 20 in the world, had earlier triumphed over Dominika Cibulkova, seeded seven, and number 12 seed Angelique Kerber. The shock-prone Wuhan Open has delivered surprise results from the get-go. 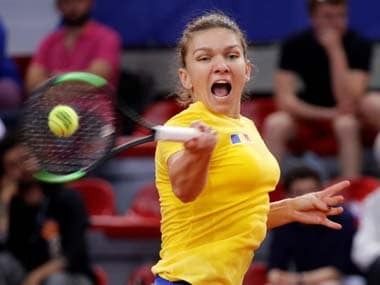 An exodus of tournament favourites included Radwanska, Romanian Simona Halep, seeded two, and Caroline Wozniacki, the fourth seed. The three stars followed fellow seeds Konta, Sloane Stephens, Madison Keys and Petra Kvitova among others out in the first few days at the tournament, which was plagued by hot and sticky conditions.